Call Flue Steam for thorough, professional exhaust duct cleaning in Thousand Oaks CA. 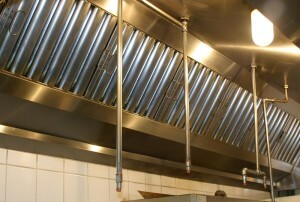 If you own or operate a commercial kitchen, you no doubt have many important tasks to juggle. Don’t let your exhaust duct cleanings get overlooked. Instead, rely on Flue Steam to help you maintain your ducts in clean and code-compliant condition. 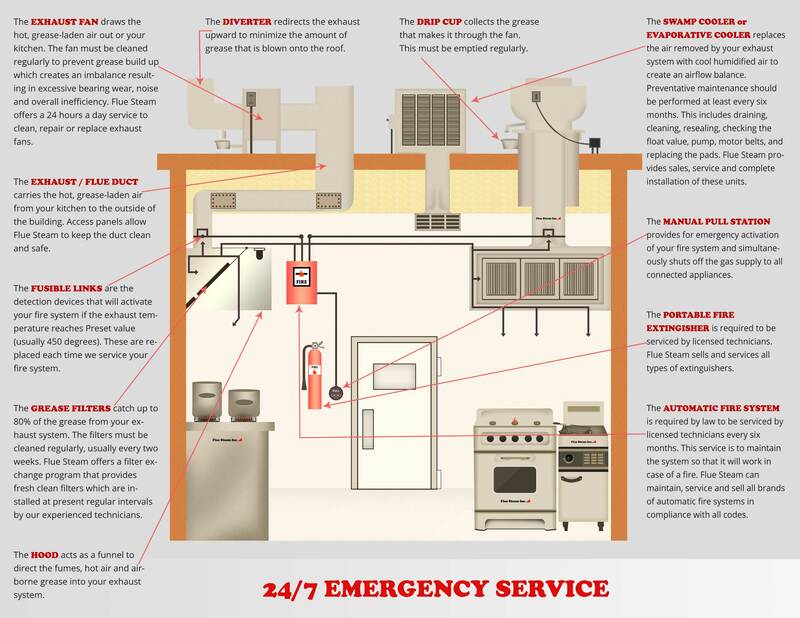 Thanks to over 40 years of industry experience, we know exhaust duct cleaning in Thousand Oaks CA and we can make sure you get the service you need at the proper intervals to reduce the risk of fire in your kitchen. We employ only the most highly trained technicians who have passed professional certification courses from the International Kitchen Exhaust Cleaners Association, to provide you with the highest quality service. In order to provide the best possible protection against the risk of a grease fire in your duct system, we recommend combining the following two types of exhaust duct cleaning in Thousand Oaks CA for a thorough and cost-effective clean. Have you ever wondered how exactly you can confirm that your exhaust duct cleaning in Thousand Oaks CA was both necessary and effective? At Flue Steam, we show you the effectiveness of our service by using a special tool called an IKECA comb to measure the thickness of grease deposits in your exhaust ducts before and after cleaning. Taking these measurements also helps us adjust the frequency of your cleanings to ensure you don’t waste money on cleanings before they are actually needed for safety or code compliance. Is it almost time for your next exhaust duct cleaning in Thousand Oaks CA? All you have to do is call or click. We’ll make sure you get your service at a time that’s convenient for you.